In a housing market that’s fraught with short sales and foreclosures, planning for the inevitable is your best offensive move. The moment you feel the sting of financial hardship, look at your options and immediately take action. By carefully constructing an exit plan you’ll avoid foreclosure and escape with minor credit damage, putting you on the path to credit recovery and a new home. Be aware of how much money is coming into your household, and how much is going out, every month. Your first indication of financial hardship is missing a payment, any payment. Credit reporting agencies immediately take note of your late or missed payment and place an alert against your account. This is the time to take your first steps toward selling your home and avoiding foreclosure. Until your home sells at auction, you still own it. 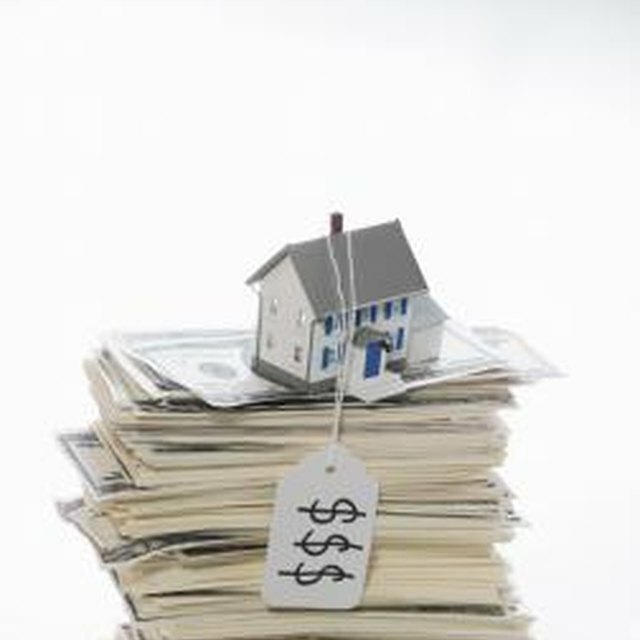 If your mortgage amount is more than the value of your home in the current market, consider a short sale. Call your lender’s loss mitigation department. You won’t get through right away and you’ll spend a lot of time on the phone finding the name of the asset manager who can help. Be persistent. Once you do speak with her, inquire about a loan modification. If that’s not an option, ask to have a short sale package mailed. Have her include the third-party authorization letter allowing a real estate agent to negotiate with the bank for you. Foreclosures take many months to conclude. You have the right to sell your home until the moment the bank auctions if off. Contact local real estate brokerages and meet with at least three agents experienced in coordinating short-sale transactions; some of them may be short-sale certified. Get comps that focus on short sales in your neighborhood for the past six months. Look at the "days on market" figure for all the sales, and find out why any may have lingered on the market. Choose to work with the agent who is most realistic in pricing your home. Make your home stand out by clearing it of clutter, cleaning the carpets and removing all marks from the walls. Trim the landscaping and scatter lawn seed. The better your home looks, the faster it will sell. You’re racing a clock at this point. If possible, make your mortgage payments. This prevents the home from going into foreclosure. However, if you have missed payments, know that the lender’s foreclosure department is already taking steps to regain possession of your house. A home that’s listed as a short sale won’t delay a foreclosure. They’re two different departments. Continue making all homeowner association payments, if applicable, as it can force a foreclosure for non-payment of dues, ahead of the lender. Agree to a reasonable short sale offer, sign the paperwork and hope that the lender agrees with the buyer’s price. Your agent should be working with a buyer’s agent to get the price into a range that’s acceptable to the lender, even before the lender issues its approved price” By doing all you can to encourage a successful short sale, you’ll avoid foreclosure. Realtor.com: I Am In Foreclosure, Can I Still Sell My Home?